Workers at the prosperous de Young Fine Arts museum in Golden Gate Park staged a friendly protest Friday evening during the popular "Young at Art" celebration of the talents of students from San Francisco's public schools. The workers say that the museum is successful and profitable yet they have been called "spoilt" by the head of HR and told to take cuts in benefits. They ask their supporters to call Bernard Osher, museum trustee, on 415 861 5587. I'm a huge fan of the hard work that de Young museum staff have put into creating one of the world's top arts museum. 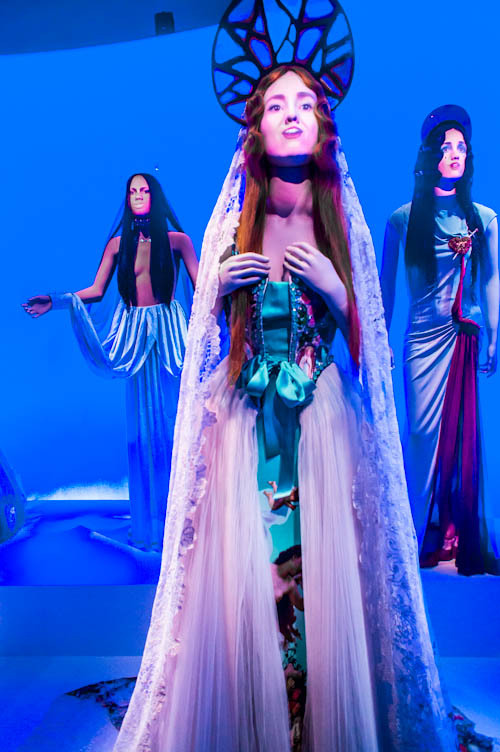 The organization and the staging of innovative shows, such as the current Paul Gaultier exhibit, requires tremendous skills of craftsmanship and precision, which should be valued as much as the exhibits themselves. The de Young has been outstanding in its curation and choice of shows since it re-opened in late 2005. But without the hard work of the staff to stage those incredibly successful shows, the de Young would be struggling for provincial fame, let alone any national or international ambitions. It would not be able to attract the large audiences and the generous donors if it didn't possess the expertise to be, and to act as a world class institution. Squabbling with your own staff over what are essentially basic elements of human decency -- is not how a world class institution such as the 120 year old de Young, should be behaving. It makes no sense to try to harm the livelihoods of the very people that have worked so hard to ensure a prosperous livelihood for the museum. Is this dispute about personal ambition? Museum Trustee Bernard Osher appears to be trying to make a name for himself as a tough boss. Yet there is no need for a showdown based on a lack of resources, especially when senior executives are receiving raises. 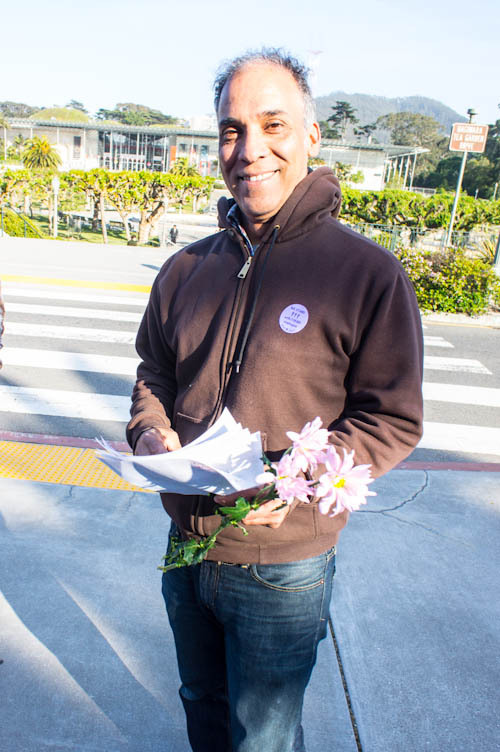 His actions might help improve his resume for his next job but they risk harming the future of the de Young and its continued support. He should be encouraged to play out personal ambitions in an arena where his ability to harm one of the great institutions of San Francisco is neutered. Here is some information from Local 1210 and a short video, and a shot from the Gaultier exhibit. 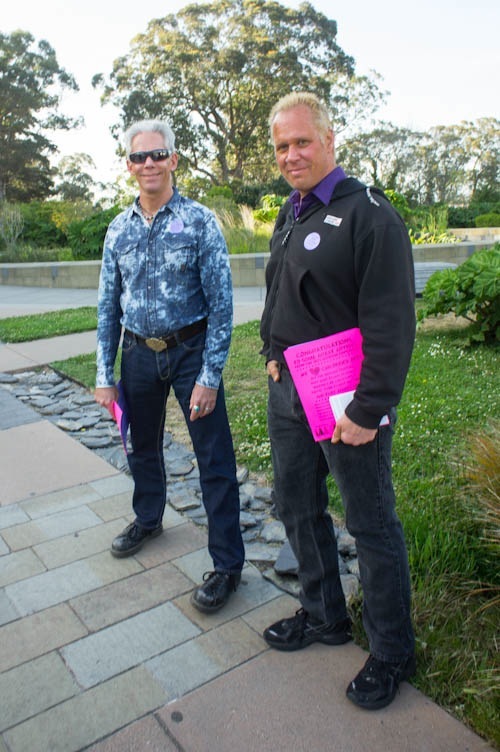 The workers at the nonprofit de Young & Legion of Honor Museums (Corporation of Fine Arts Museums) have been fighting for a fair contract since September 2011. The museums are financially healthy, thanks in large part to the hard work of these SEIU 1021 members. Management is demanding that workers begin paying 30% of their health care premiums, which would cost families more than $600 a month. They are also demanding that the wage scale be radically changed in a way that would reduce wages in the long run for most people. But they aren't satisfied with that: They are also trying to gut our union contract.